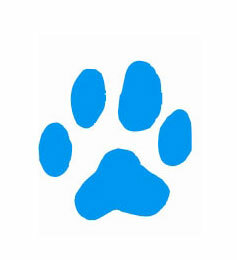 We love dogs, cats, rabbits, guinea pigs, birds and any other pets you may have. Doggy Walking offers regular and holiday services (in your home or ours) every day of the year. We are the only dog walking company that offers our services Sydney wide – we are based in Mosman (North Shore). All of our helpers absolutely love spending time with animals. We treat your animals the same as our own – with love and caring. *All services include a minimum 45 mins of exercise per day. We also leave confirmation cards so you can be assured that we have attended each time & also offer GPS tracking. We also have a lowest price guarantee, so let us know if you find a lower price for a *similar service so we can beat it. We offer a variety of services and can tailor a package to suit your needs. Please click on a service below to find out more. We can walk your dog on a regular weekly basis, from 1 to 7 days per week. Perfect if you want your dog to have some fun to break the day up while you are at work all day or for those who just don’t have the time. We offer tailored solutions, just ask. We can walk your dog just when you require us to – occasionally while you are too busy or when you are away. Perfect if you are away and have someone staying in the home but don’t want to rely on them to do the walks. If you also require feeding, try our walk & feed service. We love dogs and we treat your dog like our own. If you are away for a day or weeks and want to ensure your dog gets a walk and is also fed and has water, this service is perfect. We can come once or twice per day to walk and feed your dog. We also collect your mail. Great for home security so it looks like someone is still home. We stay in your home with your animals. One of our caring pet sitters can sleep in your home so they don’t have to be left alone and will feel more comfortable in their own surroundings. Great for security so your home does not look empty while you are away. In home training consultations. We can cover everything you would learn at puppy preschool and more by coming to your home to do a 90 minute in home consultation at a time to suit you – find out why you should choose this option instead of attending puppy preschool? In home cat feeding is perfect if you are going away. We can visit your cat in your home as often as you require. Our Cat Feeding Services are available on the Lower North Shore, Upper North Shore or anywhere else in Sydney you require. Cats are much more comfortable at home than in a cattery or cage. Our Feed & Visit service is a great option for anyone going away who wants their animals to stay at home. Most animals prefer to stay in their own home instead of a kennel. We can attend as often as you would like to feed all your animals including dogs, cats, birds, fish, rabbits, guinea pigs and any other pet you may have! Our Dog Minding service means your dog can stay in another loving home with our minders. We have minders Sydney wide – Northern Beaches and North Shore, Eastern Suburbs, South Sydney, Western Sydney. Most minders are happy for your dog to be indoors with them – even in their beds!